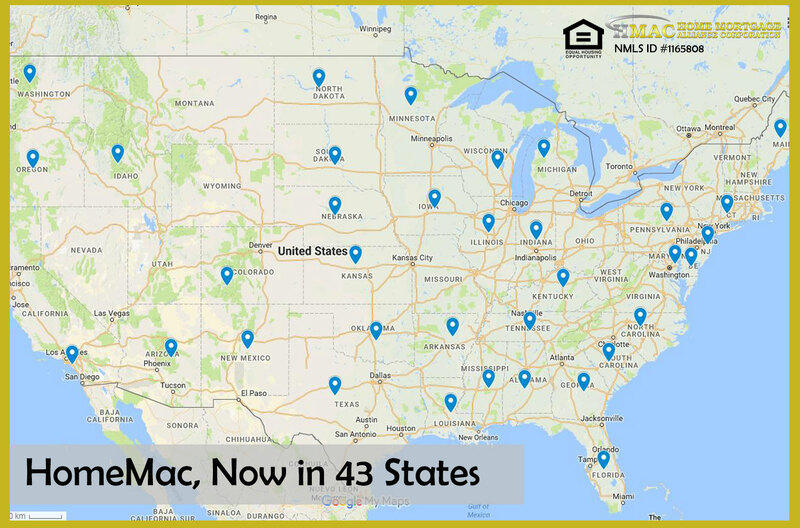 Home Mortgage Alliance Corporation (HMAC) NMLS #1165808 also referred to as HomeMAC is now recognized in 43 states in the United States. The company is steadily reaching its goals to provide much-needed support for loan originators through a genuine partnership agreement. Branches of HomeMac are now being set up in the various states which the company is registered to do business. There is a world of opportunity waiting. If you are not satisfied with your current situation or you’re ready to take on an exciting challenge, become a Home Mortgage Alliance Corp. (HMAC) Partner. HomeMac Partner Program was created specifically to provide already successful mortgage brokers the opportunity to leverage the company’s mortgage banking expertise in order to facilitate the growth and development of their current operations. The goal is to help partners grow their division into regional mortgage powerhouses by providing them with proven tools and technology that will allow them to focus on what they do best… Originate and Fund more loans! If you’re ready to become a direct lender, with 100% of your own identity, then you’re at the right place. With HomeMAC, you will become a true partner and an owner of your own direct lending division. 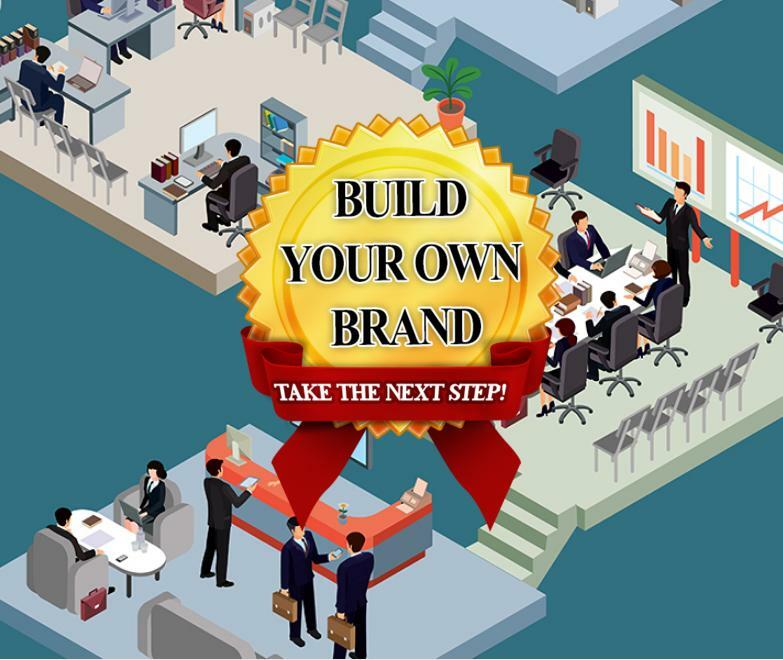 We are the only lender in the country that wants you to become its retail platform. Here are the current registration and licenses of Home Mortgage Alliance Corporation (HMAC) NMLS #1165808 or HomeMac in 43 states. Within the year, the company is hoping to add more licenses in other states. Alabama Home Mortgage Alliance Corporation (HMAC), (NMLS ID 1165808) in Alabama holds a Consumer Credit License (#22415) licensed by the Alabama State Banking Department, Phone: 334-242-3452. Alaska Home Mortgage Alliance Corporation (HMAC), (NMLS ID 1165808) in Alaska holds a Mortgage Broker/Lender License (#AK1165808) licensed by the Alaska Department of Commerce, Community & Economic Development, Division of Banking & Securities, Phone: 907-269-8140. Arizona Home Mortgage Alliance Corporation (HMAC), (NMLS ID 1165808) in Arizona holds a Mortgage Broker License (#0936822). AZ Branch Office (NMLS ID #1507754), licensed by the Arizona Department of Financial Institutions, Phone: 602-771-2800. Arkansas Home Mortgage Alliance Corporation (HMAC), (NMLS ID 1165808) in Arkansas holds a Combination Mortgage Banker-Broker-Servicer License (#112771) licensed by Arkansas Security Department, Phone: 501-324-8671. 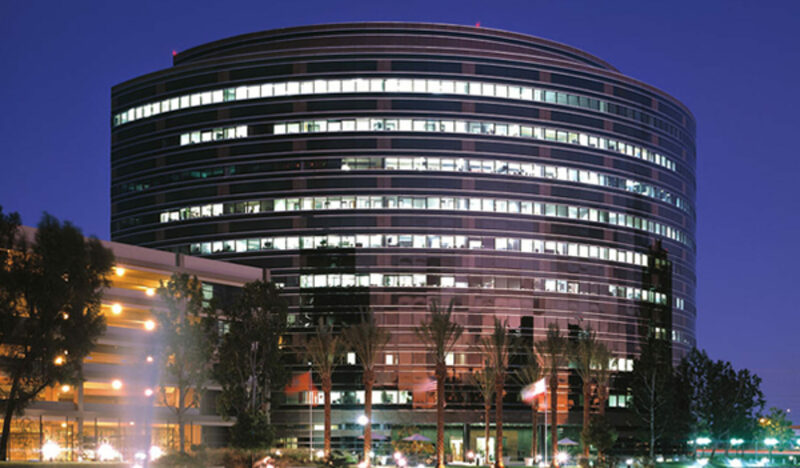 California Home Mortgage Alliance Corporation (HMAC), (NMLS ID 1165808) in California holds a Finance Lenders Law License (#603L284) licensed by the California Department of Business Oversight and a BRE Real Estate Corporation License Endorsement(#01526821)licensed by the California Bureau of Real Estate. a branch License DBA American Mortgage Alliance Company(NMLS #1518979) under the Department of business oversight (License # 60DBO58978), a branch license DBA Premier Option Mortgage(NMLS# 1465555) under the Department of Business Oversight (License # 60DBO52689), a branch license DBA Velocity Mortgage Bank (NMLS ID# 1487952) under the Department of business oversight(License #60DBO59704) licensed by the California Department of Business Oversight, Phone: 866-ASK-CORP and a BRE Real Estate Corporation License(# 01526821), Branch Offices Licensed by the California Bureau Of Real Estate,Phone: 877-373-4542, a branch license for the DBA United Funding Company & the DBA Radiant Mortgage Bank are currently pending. Colorado Home Mortgage Alliance Corporation (HMAC), (NMLS ID 1165808) in Colorado holds a Mortgage Company Registration, regulated by the Colorado Division of Real Estate, Phone: 303-894-2166. Connecticut Home Mortgage Alliance Corporation (HMAC), (NMLS ID 1165808) in Connecticut holds Mortgage Lender License (#ML-1165808) licensed by the Connecticut Department of Banking, Consumer Credit Division, Phone: 860-240-8267. Delaware Home Mortgage Alliance Corporation (HMAC), (NMLS ID 1165808) in Delaware holds a Lender License (#025217) licensed by the Delaware State Bank Commissioner, Phone: 302-739-4235. District of Columbia Home Mortgage Alliance Corporation (HMAC), (NMLS ID 1165808) in the District of Columbia holds a Mortgage Lender License (MLB1165808) licensed by the District of Columbia Department of Insurance, Securities and Banking Bureau, Phone: 202-727-8000. Florida Home Mortgage Alliance Corporation (HMAC), (NMLS ID 1165808) in Florida holds a Mortgage Lender License (#MLD1373) licensed by the Florida Office of Financial Regulation, Phone: 850-410-9895. Georgia Home Mortgage Alliance Corporation (HMAC), (NMLS ID 1165808) in Georgia holds a Mortgage Lender License/Registration (#55585). Idaho Home Mortgage Alliance Corporation (HMAC), (NMLS ID 1165808) in Idaho holds a Mortgage Broker/Lender License(#MBL-8930) licensed by the Idaho Department of Finance, Consumer Finance Bureau, Phone: 208-332-8000. Illinois Home Mortgage Alliance Corporation (HMAC), (NMLS ID 1165808) in Illinois holds a Illinois Residential Mortgage License (#MB.6761241) licensed by the Illinois Division of Finance and Professional Regulation, Phone: 844-768-1713. Indiana Home Mortgage Alliance Corporation (HMAC), (NMLS ID 1165808) in Indiana holds a First Lien Mortgage Lending License (#34639) licensed by the Indiana Department of Financial Institutions, Consumer Credit Division, Phone: 317-232-3955. Iowa Home Mortgage Alliance Corporation (HMAC), (NMLS ID 1165808) in Iowa holds Mortgage Banker License (#2017-0107) licensed by the Iowa Division of Banking , regulated by the Iowa Department of Justice Attorney General Consumer Protection Division, Phone: 515-281-4014. Kansas Home Mortgage Alliance Corporation (HMAC), (NMLS ID 1165808) is a Kansas licensed mortgage company and holds a Mortgage Company License (#MC.0025471) licensed by the Kansas Office of the State Bank Commissioner, Division of Consumer and Mortgage Lending, Phone: 785-296-2266. Kentucky Home Mortgage Alliance Corporation (HMAC), (NMLS ID 1165808) in Kentucky holds a Kentucky Mortgage Company License (#MC385742) licensed by the Kentucky Office of Financial Institutions, Phone: 800-223-2579. Louisiana Home Mortgage Alliance Corporation (HMAC), (NMLS ID 1165808) in Louisiana holds a Residential Mortgage Lending License, licensed by the Louisiana Department of Financial Institutions, Phone: 225-925-4660. Maine Home Mortgage Alliance Corporation (HMAC), (NMLS ID 1165808) in Maine holds Supervised Lender License (#1165808) licensed by the Maine Department of Professional and Financial Regulation, Bureau of Consumer Credit Protection, Phone: 207-624-8527. Maryland Home Mortgage Alliance Corporation (HMAC), (NMLS ID 1165808) in Maryland holds a Mortgage Lender License (#22801) licensed by the Maryland Commissioner of Financial Regulation, Phone: 410-230-6100. Massachusetts Home Mortgage Alliance Corporation (HMAC), (NMLS ID 1165808) in Massachusetts holds a Mortgage Lender License (#ML1165808). Michigan Home Mortgage Alliance Corporation (HMAC), (NMLS ID 1165808) in Michigan holds a 1st Mortgage Broker/Lender License (#FL0020871) licensed by the Michigan Department of Insurance and Financial Services, Phone: 877-999-6442. Minnesota Home Mortgage Alliance Corporation (HMAC), (NMLS ID 1165808) in Minnesota holds a Residential Mortgage Originator License (#MN-MO-1165808) licensed by the Department of Commerce, Financial Institutions Division, Phone: 651-539-1600. Mississippi Home Mortgage Alliance Corporation (HMAC), (NMLS ID 1165808) in Mississippi holds a Mortgage Lender License (#1165808) and is licensed by the Mississippi Department of Banking and Consumer Finance, Phone: 800-844-2499. Montana Home Mortgage Alliance Corporation (HMAC), (NMLS ID 1165808) In Montana holds a Mortgage Lender License (#1165808) licensed by the Montana Division of Banking and Financial Institutions, Phone: 406-841-2920. Nebraska Home Mortgage Alliance Corporation (HMAC), (NMLS ID 1165808) in Nebraska holds a Mortgage Banker License, licensed by the Nebraska Department of Banking and Finance, Phone: 402-471-2171. New Hampshire New Hampshire home Mortgage Alliance Corporation (HMAC), (NMLS ID 1165808) in New Hampshire holds a Mortgage Banker License (#22027-MB) licensed by the New Hampshire Banking Department, Phone: 603-271-3561. New Jersey Home Mortgage Alliance Corporation (HMAC), (NMLS ID 1165808) in New Jersey holds a Residential Mortgage Lender License licensed by the New Jersey Department of Banking and Insurance, Phone: 609-292-7272. New Mexico Home Mortgage Alliance Corporation (HMAC), (NMLS ID 1165808) in New Mexico holds Mortgage Loan Company License licensed by the New Mexico Financial Institutions Division, Phone: 505-476-4189. North Carolina Home Mortgage Alliance Corporation (HMAC), (NMLS ID 1165808) in North Carolina holds a Mortgage Lender License (#L-174935) licensed by the North Carolina Commissioner of Banks Office, Phone: 919-733-3016. North Dakota Home Mortgage Alliance Corporation (HMAC), (NMLS ID 1165808) in North Dakota holds a Money Broker License (# MB103218) licensed by Department of Financial Institutions, Consumer Division, Phone: 701-328-9933. Oklahoma Home Mortgage Alliance Corporation (HMAC), (NMLS ID 1165808) in Oklahoma holds an Oklahoma Mortgage Lender License (#ML011469), licensed by the Oklahoma Department of Consumer Credit Lending, Phone: 405-521-3653. Oregon Home Mortgage Alliance Corporation (HMAC), (NMLS ID 1165808) in Oregon holds a Mortgage Lending License(#ML-5474) licensed by Division of Finance Corporate Securities, Phone: 503-378-4140. Pennsylvania Home Mortgage Alliance Corporation (HMAC), (NMLS ID 1165808) in Pennsylvania holds a Mortgage Lender License (#61262), licensed by the Pennsylvania Department of Banking and Securities, Phone: 717-787-3717. Rhode Island Home Mortgage Alliance Corporation (HMAC), (NMLS ID 1165808) in Rhode Island holds a Rhode Island Lender License (#20183586LL )licensed by the Rhode Island Department of Business Regulation, Phone: (401) 462-9503. South Carolina Home Mortgage Alliance Corporation (HMAC), (NMLS ID 1165808) in South Carolina holds a South Carolina BFI Mortgage Lender / Servicer License (#MLS-1165808), licensed by the South Carolina Board of Financial Institutions, Phone: 803-734-2020. South Dakota Home Mortgage Alliance Corporation (HMAC), (NMLS ID 1165808) in South Dakota holds a Mortgage Lender License (#ML.05182) licensed by the South Dakota Division of Banking, Phone: 605-773-3421. Tennessee Home Mortgage Alliance Corporation (HMAC), (NMLS ID 1165808) in Tennessee holds a Mortgage Company License (#134720), licensed by the Tennessee Department of Financial Institutions, Phone: 615-253-6714. Texas Home Mortgage Alliance Corporation (HMAC), (NMLS ID 1165808) in Texas holds an SML Mortgage Company License. TX Branch Office (NMLS ID # 1489413), licensed by the Texas Department of Savings and Mortgage Lending, Phone: 512-475-1350. Click to read recovery fund notice. Virginia Home Mortgage Alliance Corporation (HMAC), (NMLS ID 1165808) in Virginia holds a Lender License (#MC-6747) licensed by the Virginia Bureau of Financial Institutions, Corporate Structure, Phone: (804) 371-9657. Washington Home Mortgage Alliance Corporation (HMAC), (NMLS ID 1165808) in Washington holds a Consumer Loan Company License (#CL-1165808) licensed by the Washington Department of Financial Institutions, Division of Consumer Services, Phone: 360-902-8703. Wisconsin Home Mortgage Alliance Corporation (HMAC), (NMLS ID 1165808) in Wisconsin holds a Wisconsin Mortgage Banker License(#1165808BA) licensed by the Wisconsin Department of Financial Institutions, Division of Banking, Phone: 360-902-8703. Wyoming Home Mortgage Alliance Corporation (HMAC), (NMLS ID 1165808) in Wyoming holds a Mortgage Lender/Broker License (#3115) licensed by the Wyoming Division of Banking, Phone: 307-777-6483. So, if you are interested to become a part of the growing HomeMAC family then BECOME A PARTNER NOW!